The health-care reform bill expected to win passage in the U.S. Senate is an attack on “liberty” in America, said Mike Huckabee, a former Republican presidential candidate from Arkansas. Huckabee was the star of the show at an Omaha rally held Sunday against President Obama's health care initiative. He opposes the mandate in the bill that will require all Americans to have insurance. About 1,800 people packed the lower level of the Omaha Music Hall for the rally. Many of them said they came to show their disappointment with Nebraska Sen. Ben Nelson, who is providing Obama the crucial 60th vote to get the bill passed. 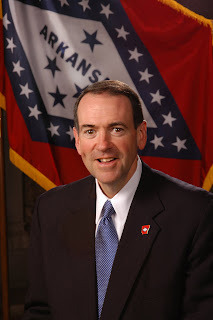 Watch the video clip of Huckabee's speech and read the entire article here.